Cindy Crawford feels she is a ''better'' model now than she was when she was younger, and she thinks her experience at the helm of the fashion industry has stood her in good stead. 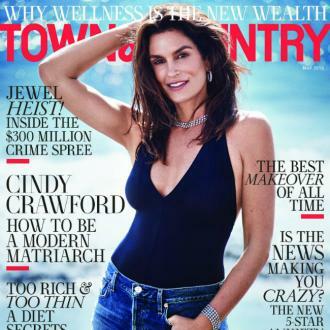 Cindy Crawford feels she is a ''better'' model now than she was when she was younger. The 51-year-old supermodel believes experience has massively ''helped'' her career as it has improved her technique on the runway and in fashion campaigns over the years, although she is just ''so happy'' she is still recognised by the public. Cindy's children have followed in her footsteps and have embarked in a career in the fashion industry, and she has revealed she is regularly telling Kaia to clean her face thoroughly before she goes to sleep and to not ''over tweeze'' her eyebrows. But Kaia also passes on her own words of wisdom to her mother.